Thanks to Mikey for recommending this film to me! 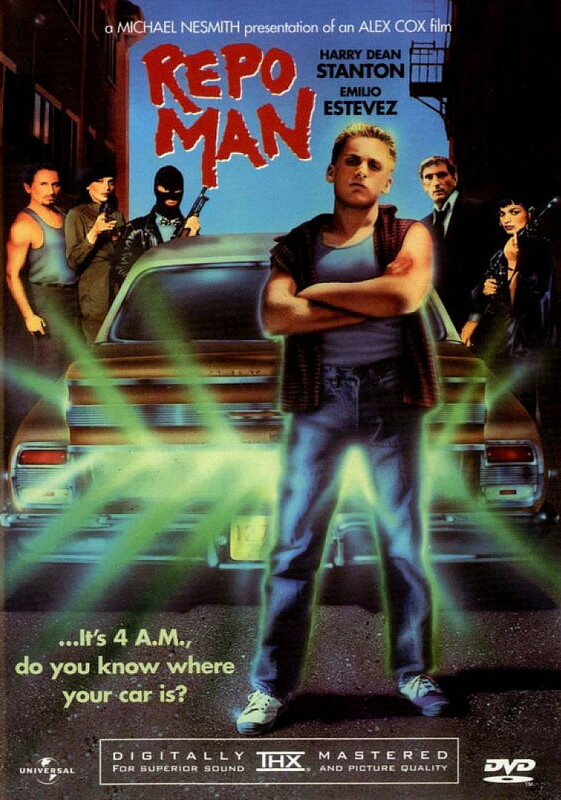 Brief Synopsis – While seeking the right path in life, a young man becomes a repo man who’s job is to repossess cars from people who are delinquent on their payments. My Take on it – I had high hopes for liking this one because it has Emilio Estevez and is from the 80’s. Unfortunately, it didn’t live up to those hopes at all. The story itself keeps teetering between bring a serious movie and a comedy and doesn’t really give an indication as to which it wants to be. This movie starts iff wiyh lots of pitential and then soirals downward into what can be considered mediocre at best. Bottom Line – Very weird and wacky movies that has trouble deciding what it wants to be; a comedy or a serious movie. None of the cast is very memorable including a very young Emilio Estevez. The story starts off ok and spirals into mediocrity quite quickly.